There are a number of categories in grass-roots motorsport in Australia. 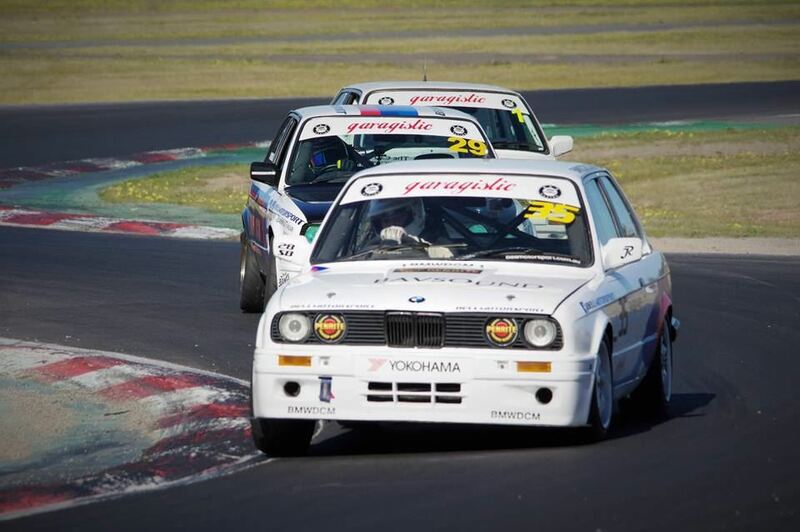 Why join E30 Racing? 1. The cars - they look fantastic, sound great (with that old-school straight-six howl), and handle magnificently. These are a compact and competent rear-drive chassis, with amazing braking and cornering characteristics. We run on semi-slick Yokohama A050 medium-compound tyres in all conditions, so no need for separate wets and slick tyres. They last for ages, and allow us to push the limits. There are no driver aids (eg ABS), and most cars have the power steering removed, so there's a real connection to the car and the track. You might be tempted to swap a big engine into your project E30 for added fun, but believe us - there is no better driving experience than in one of these cars. 2. It's relatively affordable. These cars lap at around the same pace as the popular Toyota 86 category, but for less than a quarter of the cost. (We also have a strict no-contact policy - so there's far less chance of damage!) Sure, E30 race cars aren't as cheap as an Excel or Pulsar, but with an E30 you get a rear-wheel-drive chassis, and all the other benefits in point 1 above! 3. The racing. We aim to keep the rules and regulations as simple and consistent as possible, with minimal avenues for performance disparity. The result? Close racing. This is a category of motorsport that rewards smooth, consistent driving performance over all else. During the last year, we've seen some amazing driver battles throughout race weekends, and we're looking forward to even more in the coming years! We also race on a number of Australia's best racing circuits across Victoria and interstate. We'll be visiting the brand new Tailem Bend complex in the coming season - that will be an amazing experience. 4. The people. We all love cars, driving, and the element of competition - without going too crazy! We're always sharing a laugh and discussion how we can improve. If anything ever goes wrong with someone's car, other competitors and teams are always willing to chip in and help out, to ensure that we always get as many cars on the grid as possible. Want to go racing? Here's how to start.